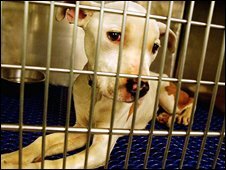 The RSPCA needs to review its "unjust" policy on animal cruelty prosecutions, an MP has said. Frank Field, MP for Birkenhead, is furious at the recent prosecution of a 71-year-old woman in his constituency, who ran a voluntary animal shelter. Mr Field who backed the woman in court, told File On 4 that the creatures she looked after "lived the life of Riley" in her care. But the RSPCA said the woman ignored a written warning and had refused help. Pat Seager admitted charges relating to animal neglect earlier this month, but Mr Field took the unusual step of writing on her behalf to the court. Mr Field told the BBC, that the pensioner had done a lot of good work for animals over the years and he had witnessed this at first hand. "The whole thing makes my blood boil…it is so unjust," he added. He said her case was not uncommon. "We need organisations like the RSPCA to properly protect and promote animal welfare. "This isn't the way to do it." He added: "They need to look very seriously at their prosecution policy." Mr Field said RSPCA members needed to put pressure on its council for a change in policy otherwise it ought to face an external inquiry. But the Phil Wilson, head of the RSPCA prosecution department told the BBC the woman had been prosecuted as a last resort. "She was offered free veterinary care, we offered to take animals into our care," he said. The MP's concerns however were echoed by leading barrister Jonathan Rich who said he was very troubled by the sort of defendants who were becoming typical of RSPCA prosecutions. "It might sound attractive to have an organisation prioritising the interests of animals but look at what it means for a farmer looking to retire whose cattle have not had the right treatment for a day or two. "Is it really in the public interest for him to be prosecuted for cruelty?" The RSPCA said it only prosecutes in the public interest after taking advice from independent vets and that it only prosecutes "a tiny fraction" of the cases presented to it. Superintendent Tim Wass, head of the RSPCA's inspectorate, said new animal welfare legislation would help the RSPCA intervene to prevent animal cruelty and this would help lower the number of prosecutions.